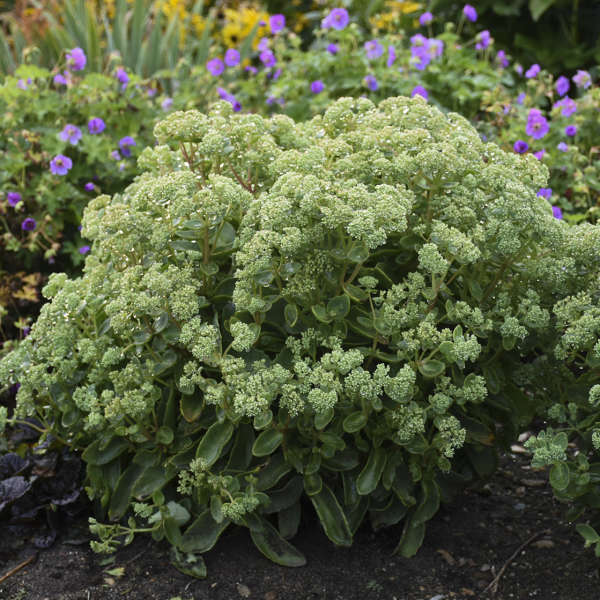 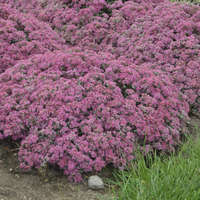 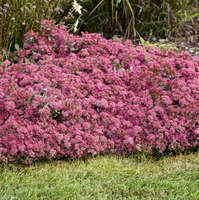 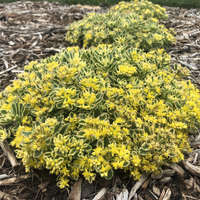 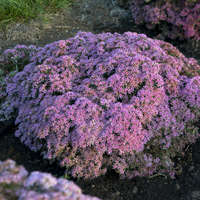 Sedum 'Lemonjade' PP26448 CPBRAF | Walters Gardens, Inc. 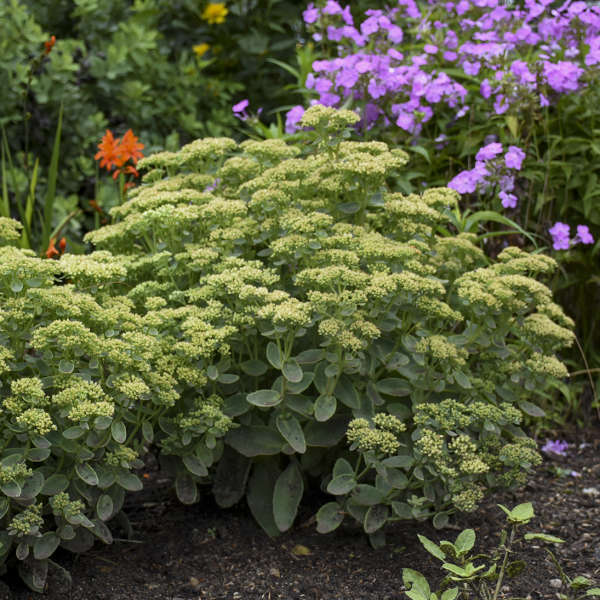 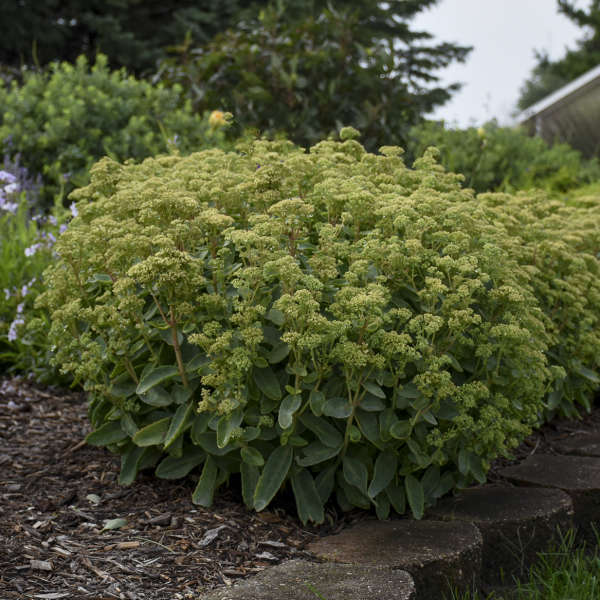 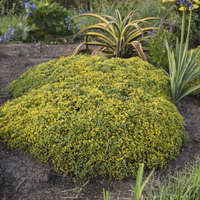 Unlike most autumn stonecrops which have pink flowers, ‘Lemonjade’ bears large 5-7” panicles of bright citron yellow flowers which completely cover the top of the foliage in early fall. 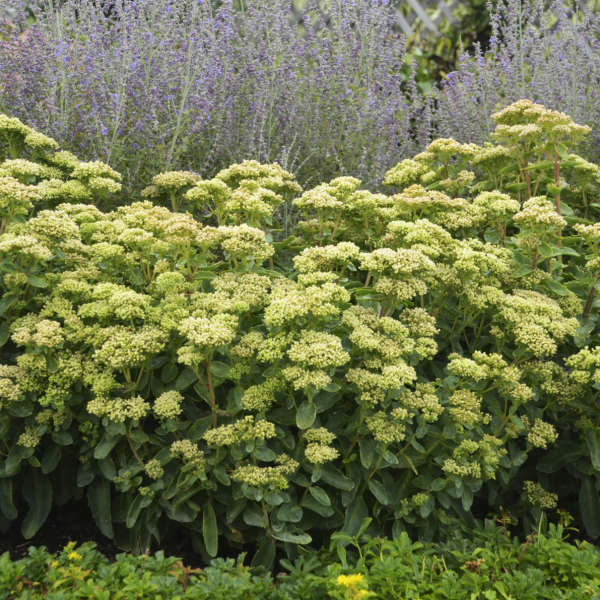 As the cold weather sets in, the seed heads take on rosy peach tones. 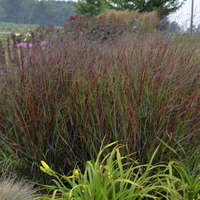 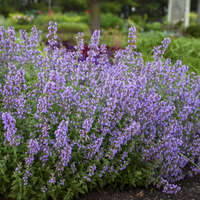 This is a compact selection with a stocky, upright mounded habit. 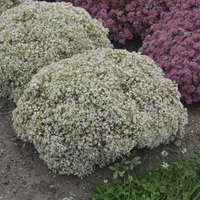 It does not split open when it blooms like so many older Sedums do. 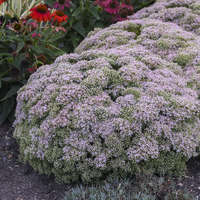 Its grey-green, toothed foliage remains clean all season long. 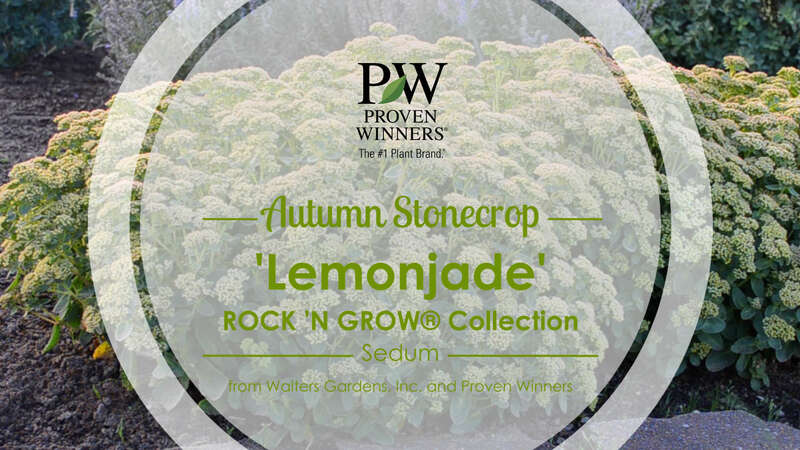 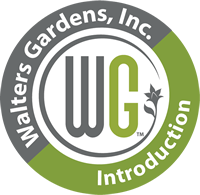 The ROCK 'N GROW® trademark is owned by Walters Gardens, Inc.
Pinching the taller varieties back by half in early summer will help prevent them from splitting. 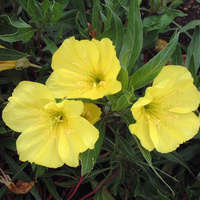 This plant is not usually bothered by pests or diseases. 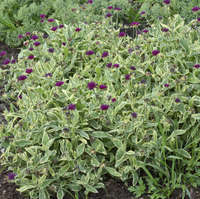 The seed heads of the taller varieties provide excellent winter interest and food for birds. 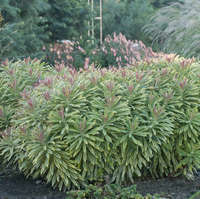 Remove them in spring when the new growth begins to show.